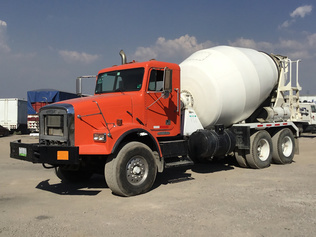 Buy and sell used Mixer Trucks from any and all manufacturers, including International, Kenworth, Mack, Sterling and more. From 5 Axle Mixer Truck: Rear Discharge and T/A Mixer Truck: Front Discharge to T/A Mixer Truck: Rear Discharge and Tri/A Mixer Truck: Front Discharge, you can be sure to find exactly what you need. If you are looking for a used Mixer Trucks, be sure to check out our upcoming equipment auctions.